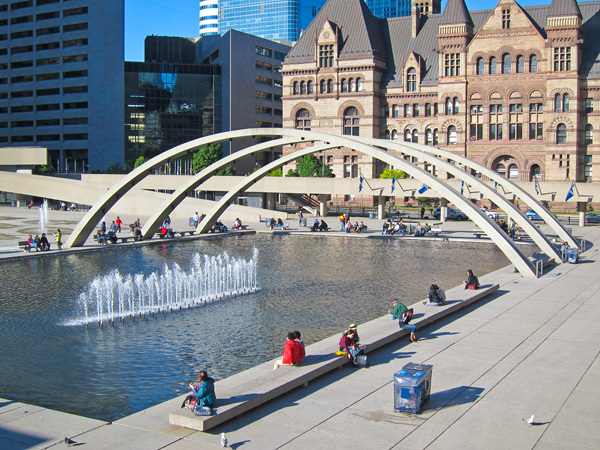 Named for the mayor who supported its development, this 4.85-hectare civic space creates a forecourt to Toronto City Hall, constructed in an area once known as St. John’s Ward, a home to successive waves of immigrants, a Jewish community, and the city’s first Chinatown. 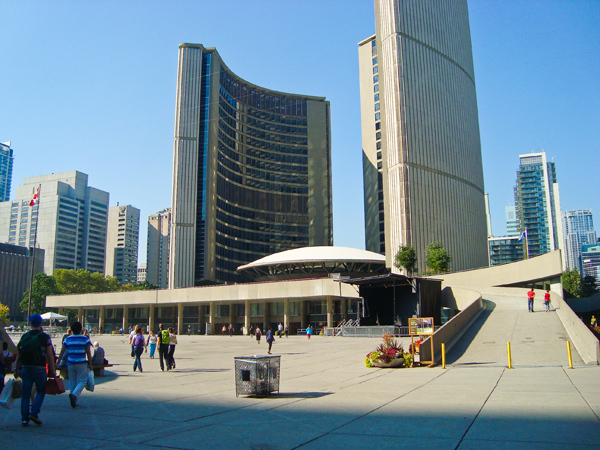 City Hall and its square, built between 1961 and 1965, were designed by Finnish architect Viljo Revell and landscape architect Richard Strong to replace the Romanesque Revival Old City Hall nearby. 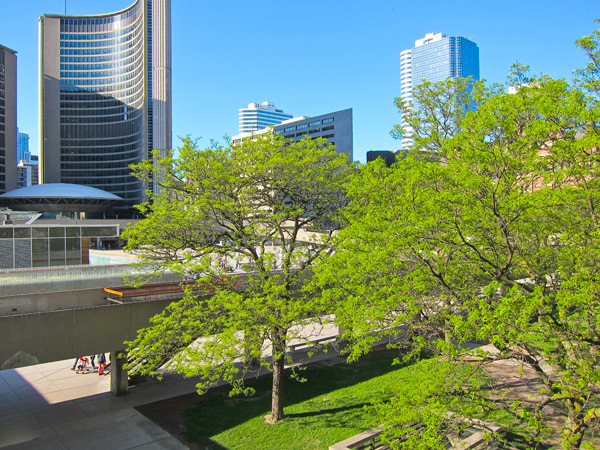 Mature deciduous trees and an elevated walkway, tracing the perimeter of the plaza, outline the southern half of the rectangular parcel. 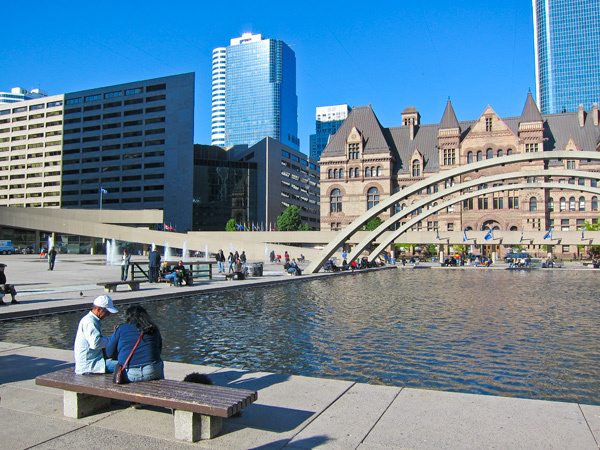 Three “Freedom Arches” cross a reflecting pool, oriented on axis with Old City Hall. 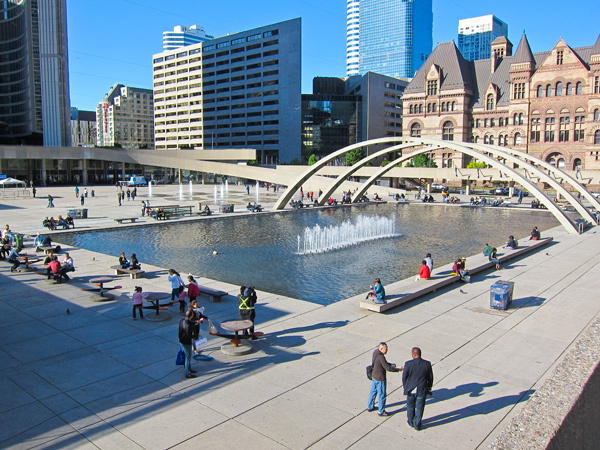 Nearby on the plaza are an open-air stage, a grid of water jets, and numerous artworks, including sculptor Henry Moore’s Three-Way Piece No. 2: The Archer, introduced in 1966. 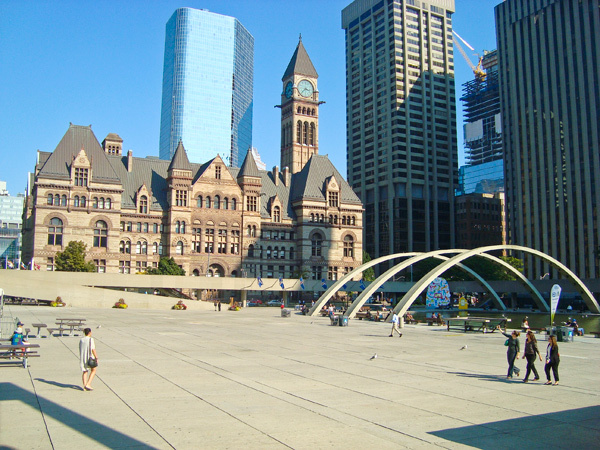 On the northern section of the square, Revell’s City Hall ensemble of curving towers is ensconced within a raised podium. 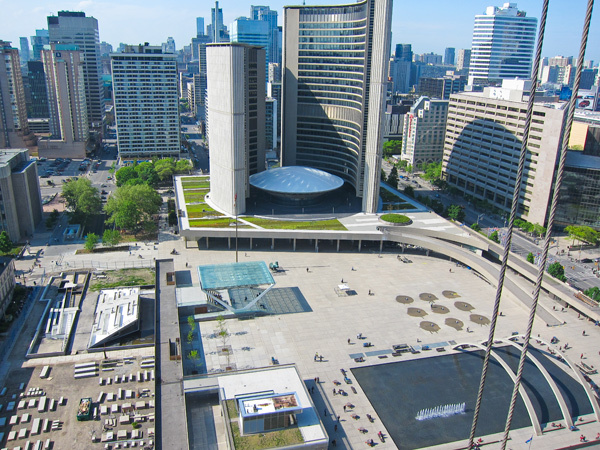 Accessed from the lower plaza by a curving ramp is the podium’s green roof, designed by PLANT Architect and Hoerr Schaudt Landscape Architects as part of the Square’s revitalization and opened in 2010. Its terraces, courtyards, and paths are set among bands of grasses and native perennials, marked by differing heights and textures, with seasonal shifts in color. 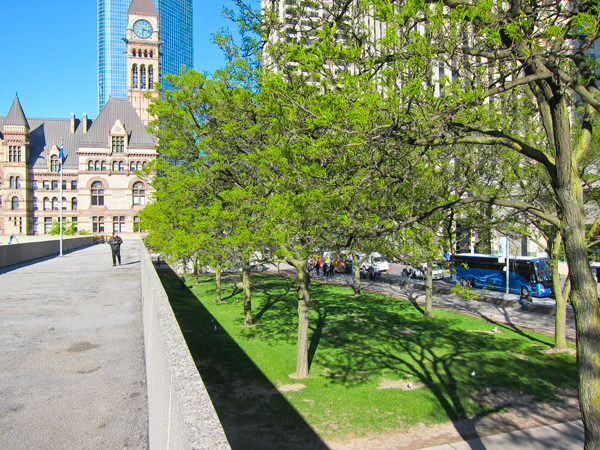 The Peace Garden, installed in 1984 for Toronto’s sesquicentennial, was removed from the center of the square for re-installation on its western periphery. 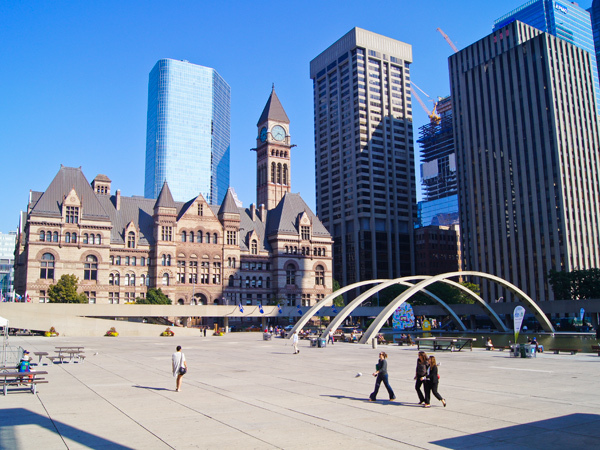 A parking garage and a branch of PATH, Toronto’s underground network of pedestrian tunnels, are located beneath the square.